The Paper Plane Challenge was a simple and fun-filled fundraising event. Children contributed £2 each in order to design, construct and decorate their own paper plane. Once the planes were ready it’s “chocks away” and time to hold your very own air show. Certificates and a range of other prizes were presented to the children in each class or group whose planes flew the furthest, and the prettiest or have the most exciting design also received a prize. We would like to thank all the parents for their support. Congratulations to Year 9 who successfully completed their Training Day for their Bronze Duke of Edinburgh Award. They endured a rather soggy day at Minions but came through relatively unscathed. Everyone enjoyed themselves and they are all now looking forward to the real thing! In the ISA Art Competition, Natasha Routly (Year 11) won 1st Prize in the under 16’s Textiles category. Her felted and stitched 3-d landscape incorporates a variety of techniques and is based on her own photograph. Well done Natasha! Senior Chamber Choir raises £2,175 in one week! The Senior Chamber Choir has been very busy over the past week and has raised a staggering amount for charity and a local church. The first concert of the season saw the choir ‘in concert’ with the Plymouth Area Police Choir and as always, was tremendous fun! Singing to a full house at Central Methodist Church, the choirs complemented each other superbly and joined forces to sing Jerusalem, Let there be peace on Earth and Morte Christe. £1,750 was raised for Cancer Research UK which was a great achievement for an evening’s work. The second concert, a week later in Tresparrett Methodist Church, saw the choir in fine voice again, this time ably supported by soloists Kate Marks, Bethany Hulme-Teague, Natasha Routly, Josie Kane and Lily Robinson. The acoustic in the church was fantastic; we welcomed Alice Waterhouse and Ellie Robertson back into the choir; we were served a sumptuous feast afterwards and raised £425 for church funds. What more could any choir want?! Many thanks once again to all the girls for their extremely hard work, and to the parents for all their support and commitment too. 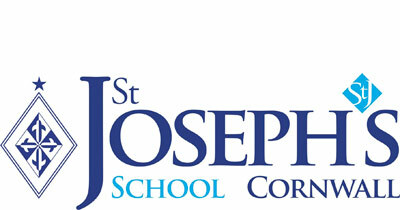 Children, staff and parents had a fantastic time helping those in need by running a mile at St Joseph’s School on Friday 19th March 2010. Most children just kept going!! We all had a great time and are now looking forward to next year.